1. Chop onion and tomato finely. Grind the ingredients given under 'to grind' and keep separately. Also grind roasted split channa, coconut and kuskus and keep aside. 2. Heat oil in a pan, add onion and turmeric powder. Cook till it turns golden colour. 3. Add the ground mix (ginger, garlic, etc) and fry till the raw flavour has left. Then add tomatoes with salt and cook till the tomatoes are completely done. (Takes about 20 minutes). 4. 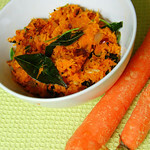 Then add coconut ground mix with enough water and chopped curry leaves. Stir it for 5 minutes under medium flame and remove from flame. 5. 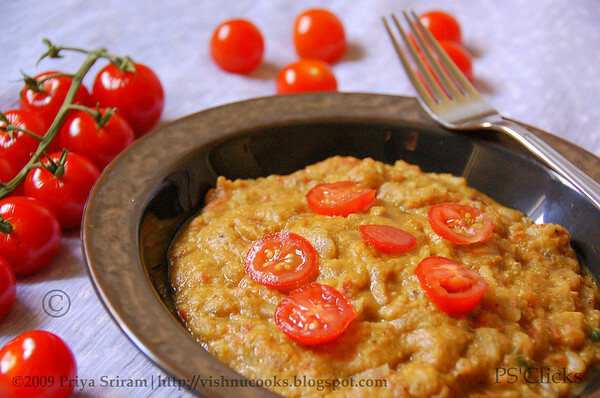 Tomato kurma can be served with roti/idli/dosa. Yummy yummy...Priya love that cute tomatoes in the pic..Wonderful click..
nice recipe, pic romba azhaga iruku! 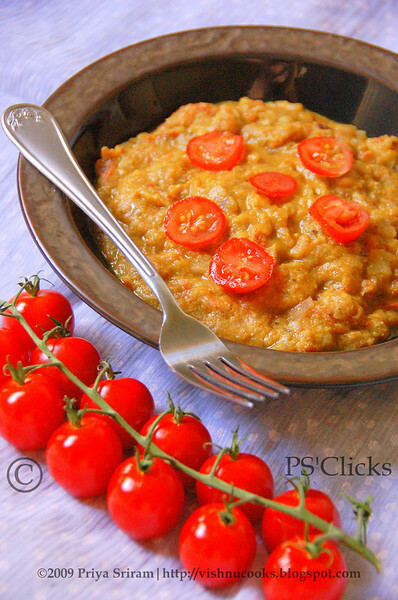 Tomato kurma looks very rich Priya...eyecatching pics! I love this dish...looks really tempting. Thats a beautiful click. you know i never tried this kurma..i always use tomotoes with other veggies or in rasam.New to me priya looks creamy n yummy!! great clicks..kurma looks wonderful priya. Pictures are absolutely gorgeous Priya. Like the recipe with khus-khus new one to me. 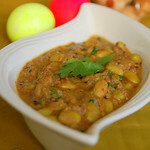 Tomato kurma is soo tempting, will def try out ur version! Kurma looks lovely..and i liked the bunch of cute tomatoes in the pic..
mmhh looks so delicious n yummy. Love the snap as always dear. 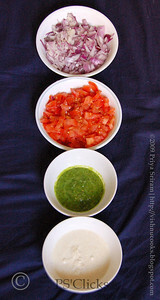 Wow..Priya,amazing pictures..Those tiny tomatoes look brilliant.Lovely recipe!! yummy kurma and lovely pictures. Beautiful clicks da....Kurma looks yum in that bowl...tomatoes are kinda cute and attractive. The pictures make me drool! wow! Vibrant pretty pic! ANd a lovely recipe! First time here. I am already liking all thats here in ur blog. Great job. I simply love the click..very professional..Tomatoes looks so fresh...Drooling..
wow u surely know how to grab attention..............lovely pics! Nice recipe and Nice click:). great picture and yummy recipe. Nice recipe. Love that click. This Thick Kuruma is new to me Priya..Love to try this..
wonderful recipe...it was a hit in my family...thank u 4 sharing..
r u frm tamilnadu..? i completed my campus life frm coimbatore..
Nice recipe and lovely photography. You really have a lovely photographic talent. Keep it going. I am a fresher to the kitchen and found your blog cool and interesting. :) Do take a look at my blog when you find time. 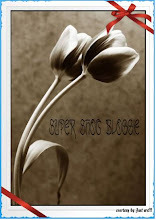 hi there r somethin waiting for u ad my blog..pls do accept.. The pic is simply superb...Its really colourful..And mouthwatering dish too..
hey priya u r frm my city, would love to connect. Absolutely gorgeous pics and lovely blog you have got. Dumbstruck with the collection and your photography. Guess this is the first time I am here and sure I will be here often from now. Keep it going. Hi ur tomato kurma looks amazing and colourful and appetising and delicious. 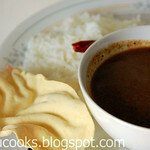 You can visit my blog view all my recipes and give ur comments. Wow, very much inviting priya!! !